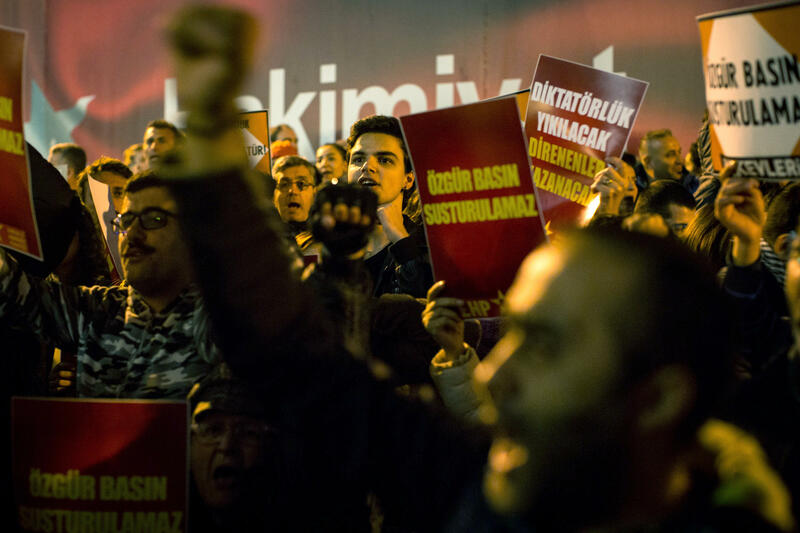 ISTANBUL, TURKEY - OCTOBER 31: People protest outside the Cumhuriyet Newspaper office after thirteen journalists including the editor-in chief were arrested on October 31, 2016 in Istanbul, Turkey. In the United States, we talk a lot about the First Amendment and freedom of the press, and it’s part of our system of governance. And for decades, we’ve taken it for granted. But not every country that calls itself a democracy has what we would consider a free and unfettered press. Take Turkey, example. Abdülhamit Bilici, as editor-in-chief of Turkey's largest newspaper, Zaman, was an integral part of the free press in that country until his newspaper was taken over by the government. He was threatened with imprisonment and now lives in exile in Northern Virginia. "Freedom of press is one of the basic values of any democracy," he says. "If a society is not able to protect press freedom, a society cannot protect itself. [Press Freedom] is a barrier to the usurpation of power, in many ways." Bilici was in Milwaukee this fall to speak at UWM's Institute of World Affairs. He warned that restrictions on the press impact not just journalists, but all citizens, regardless of their station in society, their political leanings, or occupations. "If you like to protect yourself, your rights, your freedoms, as a citizen, you need to be concerned as to what's happening with regard to press freedom." Bilici says four to five years ago Turkey was seen as a beacon as democracy for the Muslim world, despite some human rights issues. But reality has drastically shifted. "We are talking about transformation of a political system, by using democratic mechanisms of election, ballot box and everything, and transforming it into an autocracy," he says. "If someone came and asked me five years ago if Turkey could be a country where 200 media outlets have been taken over by the Government, and more than 200 journalists are in jail, and more than 7000 academics have been fired from universities, and there are 17,000 women in jail because of their ideas, I would say 'you are crazy!'" But it did happen. And Bilici says what's scary is how quickly it can happen. "We are not talking about the nineteenth century. We are talking about 2016. My newspaper was shut down in 2016." 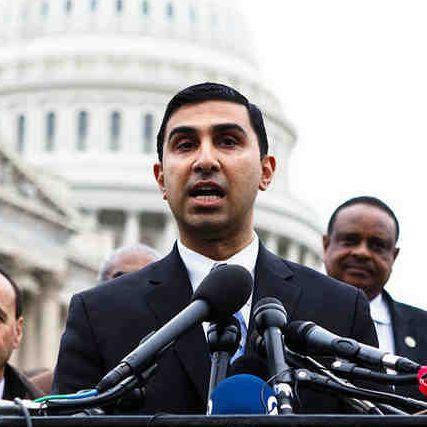 When Faiz Shakir joined the American Civil Liberties Union this past January, the organization was still preparing for the inauguration of Donald Trump. Months prior to Shakir’s arrival, the ACLU released a letter addressed to Trump, threatening to sue him if he acted on several of his campaign promises. He did, and they did. Since his first week in office, the ACLU has been fighting the Trump Administration in court. But in conjunction with these legal battles, the ACLU has been working to build up its political arm in Washington and around the country. Donald Trump grabs worldwide headlines, it seems, every time he sends a message into the Twitterverse, whether it's about North Korea, or the National Anthem protests by professional athletes. 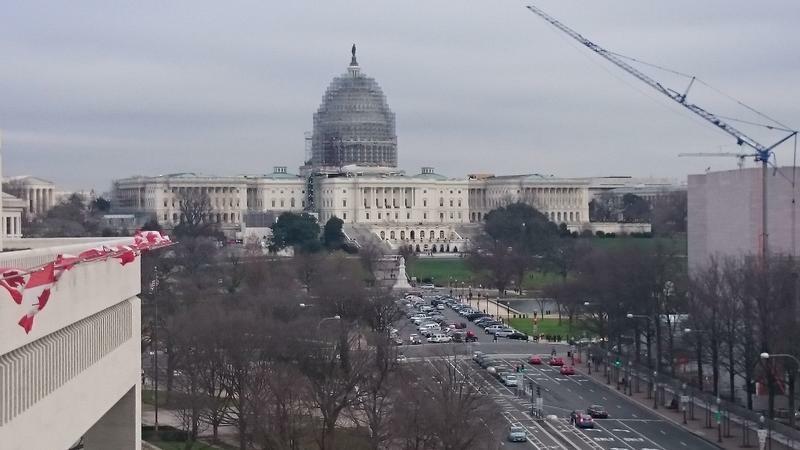 Wisconsin writer John Nichols says that while those stories have importance, there are equally important stories involving members of the Trump Administration that are going underreported. 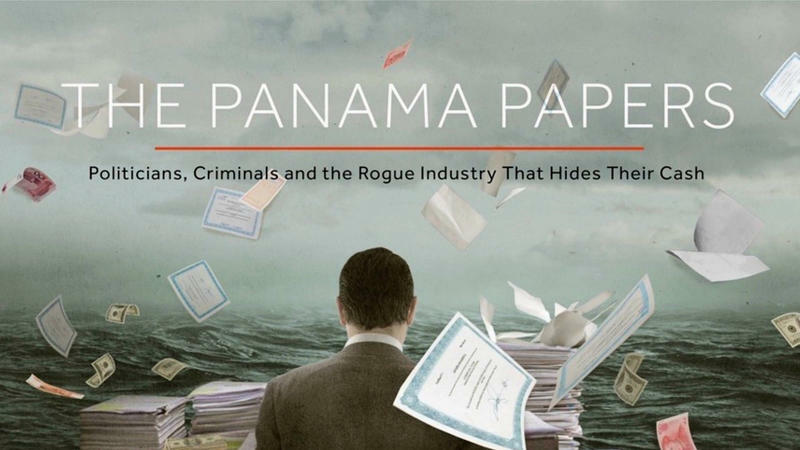 When the Panama Papers were released in 2016, the investigative report led to protesting in countries around the globe and deposed several world leaders.